Who doesn’t love “Boys Over Flowers”? Which Asian isn’t a fan of the F4? Taiwanese? Japanese? Korean? And now… American F4! 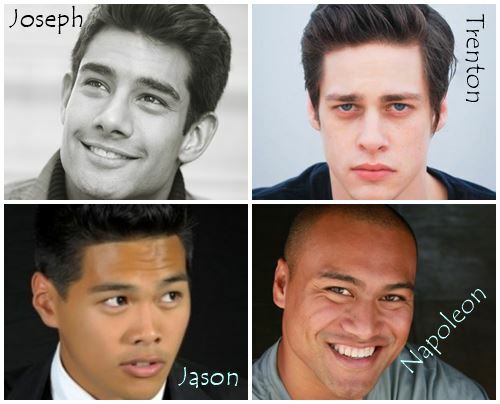 The American F4 casts relatively unknowns in Hollywood, but who knows what could happen when the series starts? I read that “Boys Before Flowers” is meant as a web series. So who are these ‘unknowns’? The female lead role has not been cast. In fact, the producers are still looking for someone to play Zoey. Filming starts on October 17th while the first preview is scheduled on October 28th. For more news and info, visit the official website of Boys Before Flowers. I don’t know. Too Disney-ish for my liking. Off the topic. Any views on Master’s Sun? I started watching Korean Boys Over Flowers but I gave up in the first episode. But so many people have told me it’s great that I wonder if I should give it another try. nakakatuwa ito. 😀 sabagay, marami naman tlng mga asian movies/drama ang nireremake. and bakit kaya parang may soemthing sa comments ng iba? LOL!